Exactly who will be relegated remains a question mark – West Brom look cut adrift now, but the two teams joining them could be any from 19th place Stoke up to 14th place West Ham. That means that there are plenty of excellent players who could be looking to abandon the ship from a relegated or, relegation-threatened club. Here are 5 players from those clubs who will likely be hot property in the summer. The last time Wilfried Zaha decided to leave Crystal Palace, it didn’t work out so well for him. He moved to Manchester United in the summer of 2013 as the last signing made by outgoing boss Sir Alex Ferguson. But, he struggled under new boss David Moyes, barely kicked a ball and, ended up back at Selhurst Park the following summer. Since then, though, Zaha has matured greatly, becoming a full International with Ivory Coast, and in the seasons since his move back to Palace, he’s become their key player. 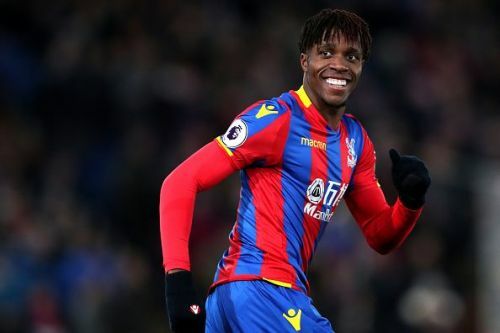 Roy Hodgson might have managed to take Palace from the bottom of the table and far closer to safety, after their woeful start, but he owes a lot of that success to Zaha. The evidence is quite clear. Not only does Zaha have 4 goals and 2 assists to his name, but when he was injured during a stretch of games in February, Palace were unable to pick up a point. Their form improved as soon as he returned during their 0-2 win over Huddersfield. Due to this kind of impact on his side, Hodgson has compared Zaha to Lionel Messi. One of the best dribblers in the Premier League, Zaha is capable of giving any defender fits when he’s on the ball, and his form appears far more consistent now. If Palace go down, or even if they survive for that matter, he’ll clearly have plenty of suitors, as Tottenham, Arsenal, Man City and Chelsea have all been linked with the Ivorian.